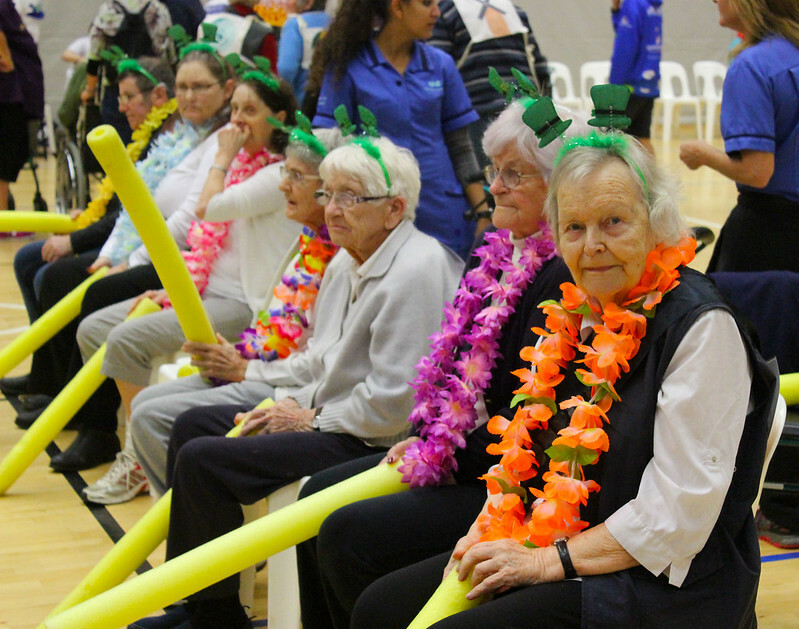 Sport Bay of Plenty and Play in the Bay's annual Rest Home Games once again proved popular, with nearly 200 participants getting active at ASB Arena, Mount Maunganui. The Rest Home Games are a chance for the region’s rest home residents to get out and get active with a series of fun, social games and activities (and share a morning tea as well). This was the 10th year the event has been run, with participants from Te Puke to Katikati joining in the fun. There were 16 teams, with eight to 10 individuals in each team, competing in four events: Balloon Badminton, Noodle Hockey, Ten Pin Bowling and Beanbag Throws. The theme this year was The Elements, so teams dressed up in Earth, Wind, Fire and Water-inspired outfits for the occasion. A prize went to the best dressed team, which was a unanimous vote for Cedar Manor Rest Home (who were dressed as Earth Gods and Goddesses). Bethlehem Views' Bethlehem Battlers were the winners of Pool A, while Pool B was won by The Lodge, Pyes Pa (team name: Air Benders). The Rest Home Games are part of Sport BOP’s commitment to get more people, more active, more often and is a fun and enjoyable way to keep our older residents moving.